The lottery. Did you know the odds of winning are significantly lower than of the odds of you dying on your way to win a lottery ticket? And here’s another question: do you sometimes mentally spend the money you wish you would win from the lottery even before you have it? If you’ve ever thought that, then the video below is for you. Way too often we hope for things that are out of reach, without taking the steps needed to work hard and get the things that are very much so in our reach. The same is true with Tax Liens & Deeds – Maybe your waiting for the perfect moment to start investing? Or that deal to fall on your lap… or maybe sitting on standby waiting for the county to call you back? Well, sometimes life is about pushing forward and taking matters into your own hands. But instead, focusing on the tasks that will bring you the success you deep down desire, even if it takes a bit of work and time. 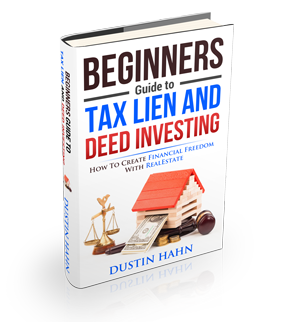 PS: Here’s the info for where the best tax lien & deed masters are going to be on April 21. HINT: We’re bringing them all together for you in Sunny Los Angeles. Click here and check this out for more details.